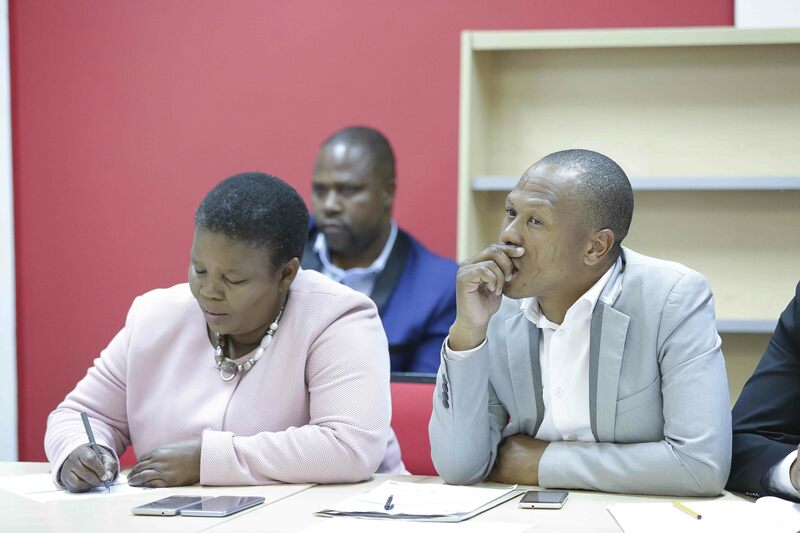 Shape this municipality up or be prepared for dire consequences – that was a blunt message by KZN MEC for Cooperative Governance and Traditional Affairs (Cogta) Nomusa Dube-Ncube to councilors at Mooi-Mpofana municipality. Dube-Ncube held an urgent meeting with the Mooi-Mpofana council in response to numerous challenges this municipality is facing, one of them being the signs of instability, poor oversight and administrative inefficiencies which is already threatened to switch off the lights if the municipality does not pay up Eskom. MEC Dube-Ncube told councillors it cannot be business as usual. Drastic action needs to be taken to alleviate the woes of the municipality. “The municipality is having serious cash flow problems because of its incapacity to collect revenue and not tightly enforcing cost cutting measures. I urge all councillor to go out door to door, educating the community about the significance of paying for services. The community need to be made aware of their responsibility to pay for municipal services and the consequences of being switched off for non-payment”; said Dube-Ncube. Dube-Ncube reiterated her call to the municipality to have no mercy with any resident, business or government departments that are not paying for services. She said this would send a clear message out there that there is nothing for free. Dube-Ncube instructed the council to cut to the bone certain unnecessary expenditures and save money for critical developmental initiatives. Dube-Ncube appealed to investors to consider the Mooi-Mpofana municipality as a strategic area of investment because of its strategic location as a gateway that connects key economic hubs of the country.